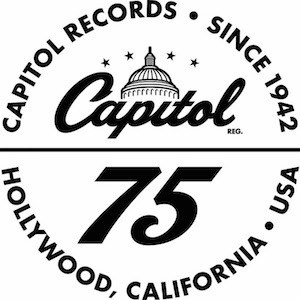 Capitol Records will celebrate its 75th anniversary in November, with a slate of music, film and literary projects paying tribute to the past eight decades. As part of the celebration, a year-long vinyl reissue campaign, titled The Capitol Records 75th Anniversary Collection, will comprise 75 albums, including Bobbie Gentry’s Ode To Billy Joe, Buck Owens‘ Buck Owens, Glen Campbell‘s By The Time I Get To Phoenix, and Merle Haggard‘s Mama Tried. On Nov. 15, Capitol Records will become the first record company to receive a star of recognition from the Hollywood Chamber of Commerce, which will be installed in front of the landmark Capitol Tower, adjacent to the Hollywood Walk of Fame. The campaign will also include the release of a deluxe photograph/essay book, 75 Years of Capitol Records, which will release on Dec. 15. A docu-series is also being produced by Nigel Sinclair/Whitehorse Pictures, with individual episodes to be directed by music luminaries and Capitol artists. Pennington Entertainment has hired Kelly Rickert in the role of “social media ninja”, beginning Nov. 14. Rickert will be responsible for facilitating strategic social media campaigns while creating an engaging online presence for the Pennington Entertainment roster. Prior to her move to Nashville, Rickert held the role of promotions and social media coordinator for Entercom’s WGGY, WILK, WKRZ and WMQX in Wilkes-Barre, Pennsylvania. Danielle Clement joins Pennington Entertainment as executive assistant and special projects coordinator. With a degree in public relations, Clement has previously worked for Walt Disney World, Big Brothers Big Sisters, Ryman Hospitalities, Crye-Leike and is currently an artistic director at VSA Tennessee, teaching dance to young adults with Down syndrome. Additionally, Clement serves her community as a Big Sister for the Big Brothers Big Sisters program. 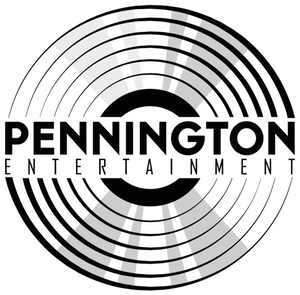 Former Sr. VP of Artist Management at BBR Management, Shawn Pennington, launched Pennington Entertainment in March with a client roster that includes Thompson Square, Parmalee, The Hillbilly Way and more. Pandora has released its list of ‘Ones To Watch’ in 2017, talented musicians that are new to the country scene. Those artists include Tenille Arts, Brent Cobb, Luke Combs, Russell Dickerson, Erik Dylan, Seth Ennis, Ryan Follese, Walker Hayes, High Valley, Taylor Ray Holbrook, Ryan Hurd, Cody Jinks, Steve Moakler, RaeLynn, Brandon Ray, Runaway June, Adam Sanders, Aubrie Sellers, The Shires, and Sister C.